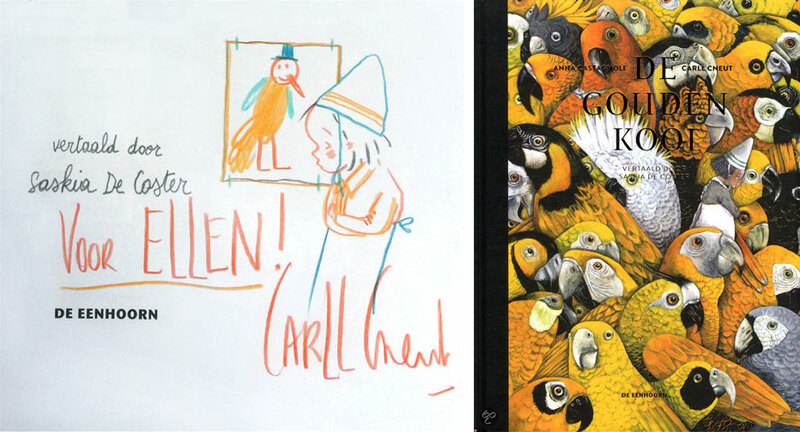 Illustrator Carll Cneut won the Boekenpauw audience award this weekend! His book ‘De Gouden Kooi’ – the golden cage – is my favourite illustrated book at the moment. His use of colour and texture as well as his compositions (so basically everything about his drawings) are a-mazing. 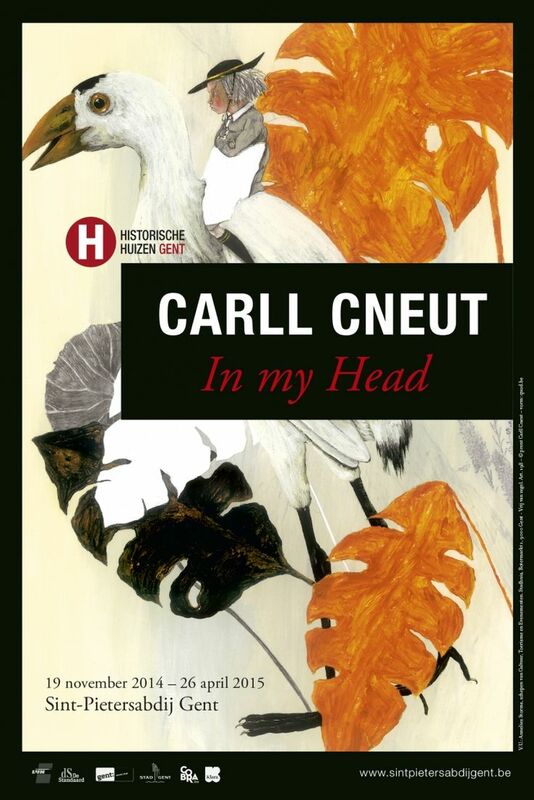 I had the honour of seeing the original artwork up close, visiting the exhibition ‘In my Head’ in Gent together with a group of talented illustrator friends. If you haven’t been, please do so! You’ll not only get to see many many wonderful works of his, but also get to know the story about the man behind the books. If you’re lucky he will be signing books too (mostly in the weekends)! 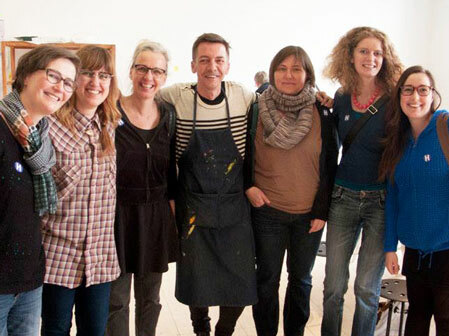 From left to right: Els Vlieger, me, Nelleke Verhoeff, Carll Cneut, Lien Geeroms, Vera Van Groos and Ine Beerten (missing: Sil from Pencilory Pencilory and Vicky Lommatzsch.